On the Ghana Stock Exchange, banks across the Financial Services Industry were hard hit by the rising Non Performing Loans (NPL) in 2016. The high exposure of loans portfolio of banks to credit risks resulted in poor performance of most listed banks on the Ghana Stock Exchange. In addition to the increasing credit risks across the industry, high interest rates on borrowing further aggravated the issue of rising NPLs on the books of accounts of most banks as most banks had to cancel debts that were deemed irrecoverable. A major factor that drives the rising NPLs across the banking industry is the outstanding Bulk Oil Distribution Companies (BDC) debt. 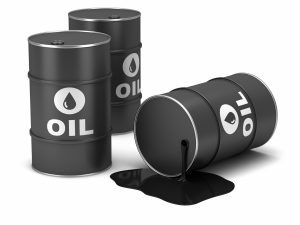 Recent investigations by GN Analysts reveal that Ghana’s domestic oil importers may take legal action against the government to recover interest on an outstanding debt of $384 million. The debt was accumulated mainly between 2013 and 2015 when the local currency was halved in value against the dollar, hitting importers who buy oil products on international markets in dollars but sell them in Cedis to consumers in Ghana. The impact of the rising debt and its interest on the banking industry could be detrimental to the general performance of both listed and non-listed banks in Ghana. Although most market watchers believe policy rates will fall in 2017 following dips in inflation rates and interest rates on treasury bills, the outstanding BDC debt could spell doom for most banks in meeting both investors and stakeholders’ expectations this year. Without a timely intervention to curb the canker of rising NPLs within the banking sector, most banks could perform poorly by close of year. Financial stocks could possibly see further dip in stock performance in 2017 compared to 2016. Trading activity on the bourse ended with 3 gainers (GCB, GOIL & SCB) and 2 losers (AYRTN & GGBL) last week Thursday. GGBL topped trading chart in terms of volume as 366,400 shares worth GHS 586,240.00 changed hands. Returns on the Composite and Financial Stock Index pegged at 0.87% and 1.23% respectively. On the Ghana Alternative Market (GAX,) trading activity on the GAX ended yesterday with no shares changing hands. HORDS currently lead record capital gains on the GAX, appreciating by 25% from 2016 year open. On the Currency market, the Cedi LOST marginally to all the major trading currencies yesterday. The local currency exchanged at a mid-rate of GHS 4.2101 to the USD, GHS 5.1874 to the GBP and GHS 4.4375 to the EURO. The GCFM Cedi index, a measure of the holistic performance of the Cedi on the inter-bank market now records a year-to-date depreciation of 0.10%.